In this love letter to professional cycling, a fashion luminary expresses his passion with visual pop. British fashion designer Paul Smith once aspired to be a professional cyclist, and his love for the sport has persisted over the decades. 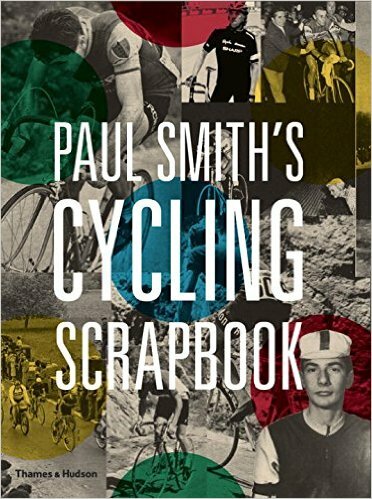 Paul Smith’s Cycling Scrapbook presents assorted ephemera accompanied by Smith’s casual commentary, with a brief foreword by Scottish cyclist David Millar. Smith has an impressive collection of cycling jerseys, pennants, advertisements and publications specific to professional road and track racing. Chapter headings present themes and artifacts, including racing personalities, events like grand tours and one-day classics, Smith’s own bicycles and what he refers to as “the look.” He admires the individual histories of heroes like Fausto Coppi, Jacques Anquetil and Eddy Merckx, and Smith’s friends among contemporary racing stars, including Mark Cavendish and Bradley Wiggins. Throughout, Smith’s tone is conversational and self-effacing, even as he is honored to design the 2013 Giro d’Italia’s maglia rosa (leader’s jersey). Visually stunning and wide-ranging, Paul Smith’s Cycling Scrapbook elegantly marries Smith’s admiration for the heroes of road and track cycling with his passion for design. This review originally ran in the November 22, 2016 issue of Shelf Awareness for Readers. To subscribe, click here, and you’ll receive two issues per week of book reviews and other bookish fun! For one of Shelf Awareness’s upcoming gift editions, I am reading a big, hefty coffee-table book on one of my favorite topics. Cycling has always been the sport for me. You probably won’t be surprised to learn that I was attracted by its sense of style: things like Fausto Coppi’s sunglasses, Jacques Anquetil’s jerseys and the beautiful graphics on a piece of Campagnolo kit have provided a regular source of inspiration in my work. I am initially a little amused that Smith finds it obvious that he’d be attracted by cycling’s style, because I don’t think that’s a terribly common reaction today to Lycra-clad roadies on the streets of U.S. cities and towns. I know what he means, of course. And I think his tastes are more understandable in the era he’s referring to, and the more so because he’s British. I like the way this beginning finishes up with a teaser, too. Aren’t we all anxious to hear what ‘more’ there is to come? We were hunter folk, and we saw hunters and dogs, bears and young women, all manner of things of interest to us. When seventeenth-century European sailors first saw the southern skies they put objects of seventeenth century interest in the heavens – toucans and peacocks, telescopes and microscopes, compasses and the sterns of ships. If the constellations had been named in the twentieth century, I suppose we would see bicycles and refrigerators in the sky, rock-and-roll “stars” and perhaps even mushroom clouds – a new set of human hopes and fears placed among the stars. Stunning photographs of bike racing across disciplines and decades, succinctly narrated, provide a compelling historical perspective. From Magnum Photos, one of the world’s oldest and most prestigious photo agencies, comes a collection of historic and iconic images of bike racing. Arranged and with accompanying text by Guy Andrews, Magnum Cycling is visually stunning and insightful. The balance of text to photographs is perfect: Andrews’s narrative and captions inform and elucidate, and then get out of the way of the extraordinary images that are the heart of this beautiful book. More than 200 gorgeous, intimate photographs in black-and-white and vibrant color present a view of a sport that is adrenaline-filled, fast-paced and deeply, tenderly human. Magnum Cycling is a superior collection of art, history and emotion. This review originally ran in the June 1, 2016 issue of Shelf Awareness for Readers. To subscribe, click here, and you’ll receive two issues per week of book reviews and other bookish news. This will win the Pagesofjulia Perplexing and Peculiar Award of 2016, which I have just invented. The Third Policeman is not so strictly about bicycles or cycling as the Guardian list had led me to believe; I was quite confused for the first, oh, third or so of the book. Our unnamed narrator is an odd one. He was orphaned, lost a leg, and then returned home from college to find his parents’ pub managed by a man named Divney, who is clearly embezzling from the business. Narrator is quite obsessed with a (fictional) scientist-philosopher named de Selby, about whom he writes a definitive work that he cannot afford to have published. This financial need is set up as his motivation to join in a plot with Divney to rob and murder a neighbor, the wealthy Mathers. After the murder, Divney hides the money, inspiring Narrator to follow him around closely, finally sleeping in the same bed to prevent Divney’s sneaking off to recover the funds alone. Very strange, right? It gets stranger. Narrator meets a figure who is, apparently, the ghost of Mathers; Narrator’s soul speaks up quite suddenly, is named Joe, and becomes an occasional participant in dialog; Narrator hikes off to find a certain police station where he wants to report the theft of a nonexistent watch, thereby seeking clues as to Mathers’s missing money; etc. When we meet the policemen (only two of them, the titular third being absent), we get into the bicycle-related part of the book, but nothing makes any more sense than before. Remember de Selby, Narrator’s obsession? Footnotes throughout discuss his life and work (gradually revealing that he was perhaps less the genius than Narrator would have us think), and, digressively, the lives and petty conflicts of de Selby’s other biographers. WHEW. The policemen, in turn, are obsessed with bicycles. (Recall this teaser.) Apparently in their world, those who spend too much time on their bicycles become bicycles. You know I loved this part. This plot, if I may call it that, is every bit as twisted and weird and disconnected as it sounds. Despite all that, it is entertaining, stylish in its own way, and yes, smart. Narrator has a strong voice and personality, strange though he be. The policemen have interesting theories and skills, metaphysical and philosophic. And I have by no means hinted at the central questions of the book yet; there is a final big reveal that makes you think. No spoilers here! and you should avoid them elsewhere to keep The Third Policeman‘s full effect intact. It is one of the most compressed and intricate pancakes that I have ever known. And thus my rating: this book is a contrary pancake surely. The real live narrator, who reads this audiobook for us, is Jim Norton, and he does a splendid job. I felt pulled into a surreal world that I enjoyed and giggled at and was occasionally disturbed by. I’m sure I missed two-thirds at least of the opportunities to interpret this work as a piece of philosophy, itself, but I was utterly entertained. The audio format worked well for letting the zaniness just wash over me. It would not be ideal for close reading, of course – never is – but I really appreciated the experience of this audio introduction to Flann O’Brien, or whatever he calls himself, and I will read more. Don’t be too intimidated – just, don’t expect to understand everything you hear. I’m sure O’Brien has been the subject of a few dissertations, and is probably ripe for another, if you’re feeling ambitious. This is an exceptionally strange one, friends. I got a little confused. This was recommended as one of The Ten Best Books About Cycling. 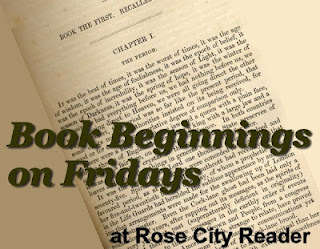 But early pages (hours) were devoted to an odd friendship, an odder murder and reanimation, and the main character’s obsessive devotion to and criticism of a fictional philosopher. The plot remains weird, which I have come to accept is partly the point; and now we have got around to bicycles. MacCruiskeen got white and shaky and gripped my arm and looked at me intensely. I am totally tickled, naturally. Stick around, and I will try to illuminate the weirdness for you in my final review. 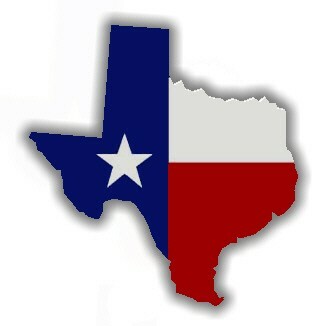 For now: worthwhile. An unusual treat: I read this book all of my own choosing. 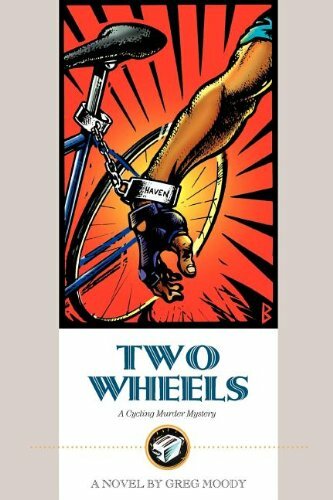 Two Wheels is the first in Greg Moody’s series of murder mysteries framed by the professional road bike racing world. Naturally, it is set in Europe, although the main characters are Americans. Jean-Pierre Colgan is the world’s best, and leader of the accomplished Haven team, sponsored by Haven Pharmaceuticals. He is a cocky and not entirely likeable character, which is a fine thing because he dies in the opening pages when his brand-new, high-tech American toaster explodes. In the first quirky turn, we then see Colgan enter heaven – or something like heaven – where he is greeted by Il Campionissimo, Fausto Coppi. Anquetil, on the other hand, won’t speak to him. Next we meet the American Will Ross, a washed-up retired racer drinking himself stupid in Belgium, who inexplicably gets hired to replace Colgan on the Haven team. Will is as surprised as anyone, still more so when his ex-wife turns out to be part of the team’s management. With no love lost between them, her position only makes his hiring more confounding. Cheryl is the team soigneur, also American and regretting the recent end of her own race career. She and Will get off to a rocky start, but she will turn out to be an ally. Tomas Delgado is team mechanic, and an old friend of Will’s: good news. The rest of the Haven squad is understandably unhappy to have Will join them, but he is just starting to get the hang of things again – find his legs, and his lost passion for the sport – when the body count begins to rise. Colgan’s death, of course, was no accident. Somebody seems to have it out for the Haven team, and Will finds himself attempting an awkward impromptu investigation, in the interest of saving his own skin. Oh yes, and there is French detective Godot, who reminds us of Columbo and seems to be imitating that American icon on purposes. There is a thread throughout the story of the tension between American and French culture: television, slang, American football versus professional cycling. Two Wheels is not quite a cozy, as the murder weapon of choice is plastic explosives and the results are pretty bloody; but it fits into the sub-genre of mysteries defined by their framing elements. The plot of the mystery itself is enjoyable, if not especially remarkable unto itself. Will is a little slow on the uptake as investigator, and a big coincidence revealed late in the book falls a bit short of credible. As a mystery, then, Two Wheels is fine but not unique. The cycling motif is more distinctive, and adequately well done; the pain and love of the sport, the pavé of Paris-Roubaix and the climbs of La Ronde van Vlaanderen are convincing. Moody is at his best when he works with Will’s self-deprecating humor; for lyrical praise of the road I recommend Tim Krabbe’s The Rider instead; but the whole package is perfectly entertaining, often funny, and overall loveable. Obviously, Two Wheels will be most appreciated by those who share Moody’s and Will’s love for the sport. I think it could be the start of a promising series.